I am participating in the 30 Day Colouring Challenge with Kathy Rasoosin from The Daily Marker. The basic premise is that every day for 30 days we are colouing for at least 10 minutes a day. Yesterday I tried to colour this little puppy from Reverse Confetti in Copic Toner Grays. I wasn't happy with it, but as he dried he mellowed and I actually quite fell in love with him. 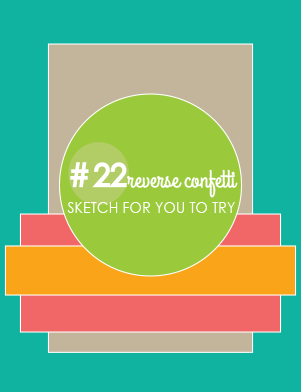 I posted him on Instagram HERE, and today I am sharing a card I made with him for the March Reverse Confetti Sketch For You Too Try! You can join Kathy's challenge anytime you like just follow the link I provided. oh my! This is soo cute!! Love that little guy! Awww...what a darling puppy colored so CUTE! Oh, he is soooo CUTE! Awwww, I think he's just adorable Tracey! What a super cute card! Isn't it fun to participate in 30 day cloring challenge? I'm glad you ended up making a card with your puppy! Great colors!!! 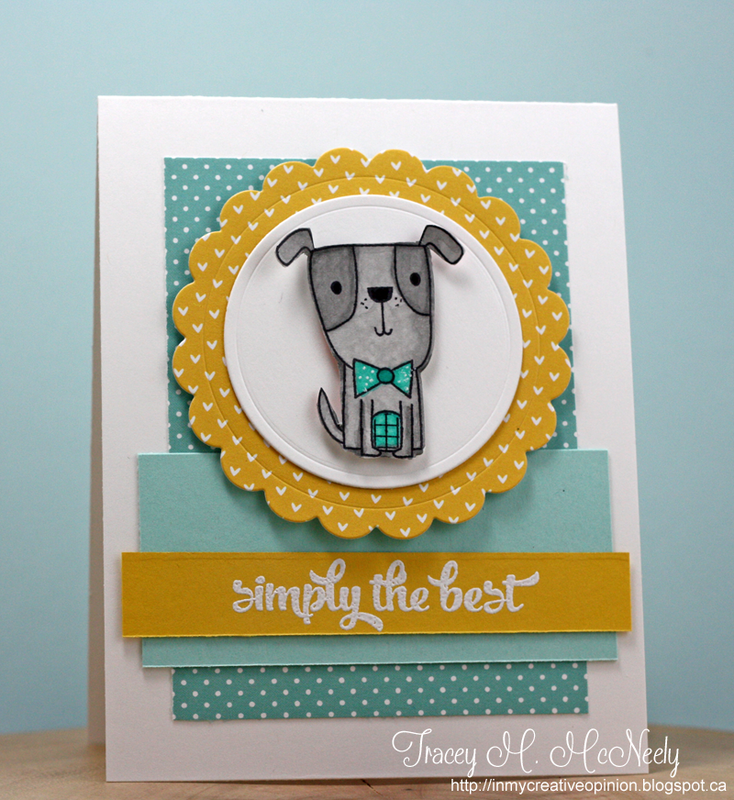 this little pup just makes me happy.. adorable card..
What a wonderful combination of colors, Tracey! Love your little cutie - I think your coloring is wonderful! He's adorable! And he looks terrific taking center stage on your card! Well isn't he a dapper little fella!! Super cute card Tracey! Aw, your little guy is so sweet! Love your adorable card! He is so adorable, and your coloring is fantastic. What a great challenge, palette, and take on the sketch! Pure perfection, Tracey! Your sentiment says it all: simply the best! Puppy-cuteness! ahhhhh, your little dog is just too cute. Hope you are having a fabulous weekend. 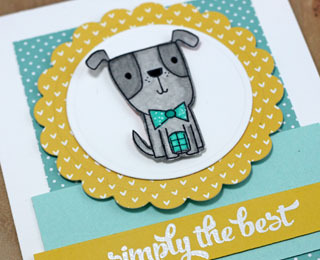 Your little puppy is so cute and what a fun color combo! Beautiful font on your sentiment, too! Really adorable card! Awww!! He is so cute!! Love you coloring and the layering on this card!! Fabulous!! How did I miss this cutie?! Such a sweet pup and love your coloring Tracey! Thanks so much for playing with us at SFYTT!